James Ritchie & Son (Clockmakers) of Edinburgh was established in 1809. We pride ourselves on being the undisputed leader in the mechanical restoration and maintenance of clocks in the country and being sought after by many in our industry to support them. 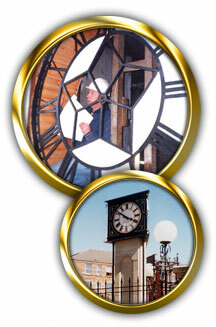 We specialise in the manufacture, restoration and maintenance of large public clocks, church clocks and bells, clubhouse clocks and advertising display clocks.